Access Sacramento announced today changes to last year’s highly successful “Sacramento Has Talent” showcase and fundraiser aimed at solidifying it as the region’s most diverse event of its type. With an eye toward expanding our search for talent, Access Sacramento will be hosting an open audition for vocal performers on Saturday, March 8 at the Access Sacramento TV studio, 4623 T Street. Last year’s event, a fundraiser for the non-profit’s neighborhood news program, drew more than 600 to the Crest Theater so see an amazing assortment for singers, dancers, comics, rappers, and other performers. “I have no doubt that this change will only add to what was already the region’s most eclectic and diverse talent showcases,” said Gary Martin, Access Sacramento’s Executive Director. Auditions sign ups will begin at 8:30 a.m. on a first-come first served Basis. Singing auditions start at 9 a.m., with the top singers being named semi-finalists at noon. The Semi-finalists perform a second audition LIVE on Access Sacramento at 1 p.m. on Comcast/SureWest Cable Channel 17 and AT&T U-verse Channel 99. “Because of safety and logistical concerns we’re limiting the open audition to a capella performances, but we have no doubt this will help us unearth talented singers we never would have found otherwise,” said JoAnn Fuller, Access Sacramento Board of Directors Chair. 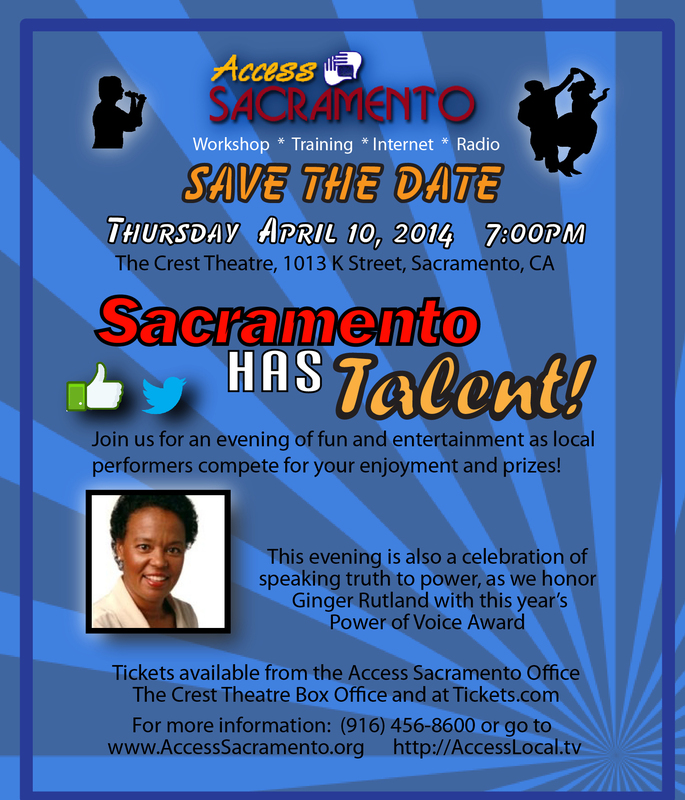 As with last year, the Access Sacramento team will continue to identify performers through online submissions. 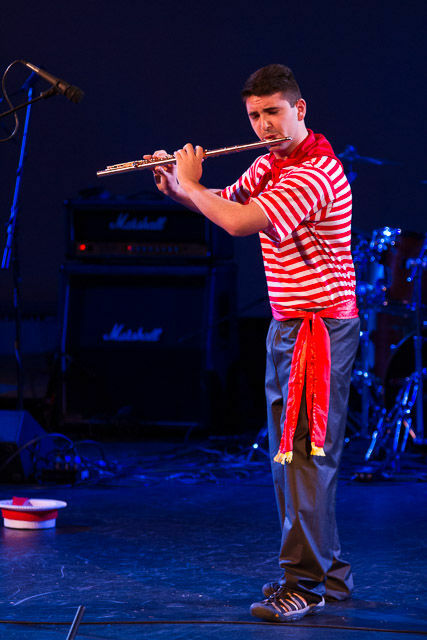 “While we love the energy and openness the open audition brings, we want to make sure the April 10 event continues to bring our live and television audience performances from the best of the best from a wide array of talent from magic and jugglers to contortionist if we have them,” said Ed Fletcher, who chairs the event committee. Performers, including singers, are encouraged to submit themselves for consideration via email to talent@AccessSacramento.org. Applicants should include links to previous performances and any other relevant information that might sway the judges. Fans of performers are encouraged to demonstrate their support on twitter using the hashtag #sactalent and by posting to our facebook wall. 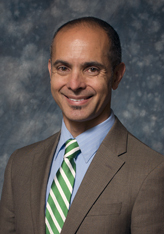 “It’s a cause that can make a real difference so I was happy to get involved,” said West Sacramento Mayor Christopher Cabaldon, who will host the main event April 10 at The Crest Theatre. Tickets are on sale now from the Access Sacramento office and at Tickets.com. The Neighborhood News Program provides financial stipends for student journalists writing and reporting about undeserved communities. The event will also honor newly retired Sacramento Bee editorial writer Ginger Rutland with Access Sacramento’s Power of Voice award for her years of dedicated service to the Sacramento community. Access Sacramento operates two community access cable channels and a streaming radio station. For more information, contact Access Sacramento Executive Director Gary Martin at 916-456-8600.